“Surrender” is the title of the Sunday, March 31 episode of Charmed and The CW has released some preview images and a description to promote it! DEEPEST DESIRE — When Niko (Ellen Tamaki) reaches out to Mel (Melonie Diaz) for help, she unknowingly reveals a new demon. Maggie (Sarah Jeffery) volunteers to infiltrate the “cult” to help thwart him, but when she goes missing Macy (Madeleine Mantock) and Mel set out to find her before it’s too late. Harry (Rupert Evans) must face the consequences of the “gift” that The Elders have bestowed on him, leaving Mel, Macy and Maggie shocked and angry. Mel thinks that Fiona (guest star Leah Pipes) might be the key to helping Harry, which seems to cause trouble between her and Jada (guest star Aleyse Shannon). Meanwhile, Parker (Nick Hargrove) is getting worse and Maggie has an idea on how to make him better. Megan Follows directed the episode written by Sarah Goldfinger (#117). Original airdate 3/31/2019. The new photos can be found below. 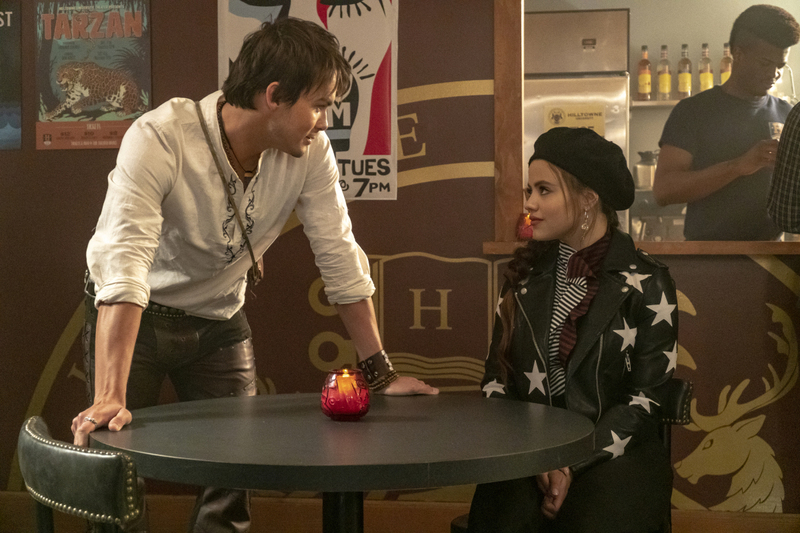 Charmed -- "Surrender" -- Image Number: CMD117a_0010.jpg -- Pictured (L-R): Tyler Blackburn as Viralis and Sarah Jeffery as Maggie -- Photo: Colin Bentley/The CW -- ÃÂ© 2019 The CW Network, LLC. All rights reserved.